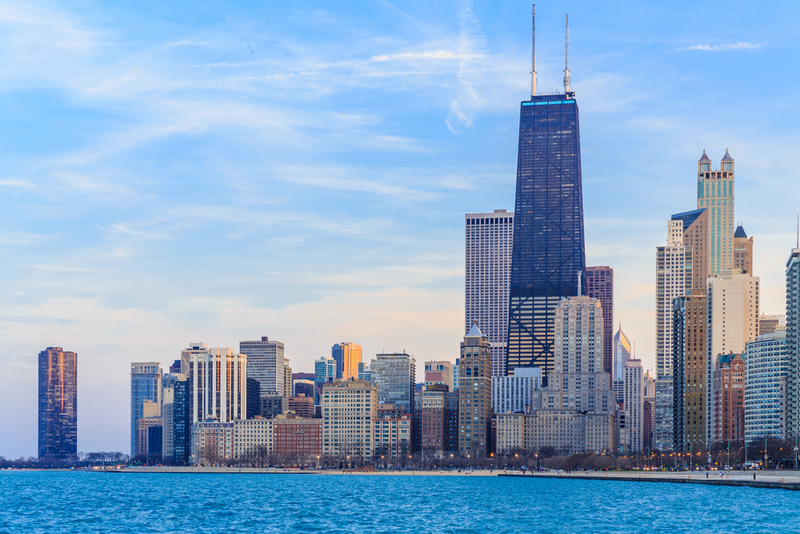 Fifty thousand delegates – radiologists, physicists, sales representatives, radiographers and business executives – converged on the McCormick Center in Chicago this past week for the yearly gathering of the Radiological Society of North America (RSNA). This wasn’t just any run-of-the-mill conference, though: it was the 100th annual meeting of a professional organisation that met for the first time on 15 December 1915 at the Hotel Sherman in downtown Chicago. There were 30 physicians in attendance, “dedicated to the study and practical application of radiology,” a new branch of medical science that had been discovered just 20 years earlier by the physicist Wilhelm Röntgen in his laboratory in Würzburg, Germany. Given his pivotal role in the development of radiology, RSNA decided to invite Dr Röntgen himself to their centenary celebrations. 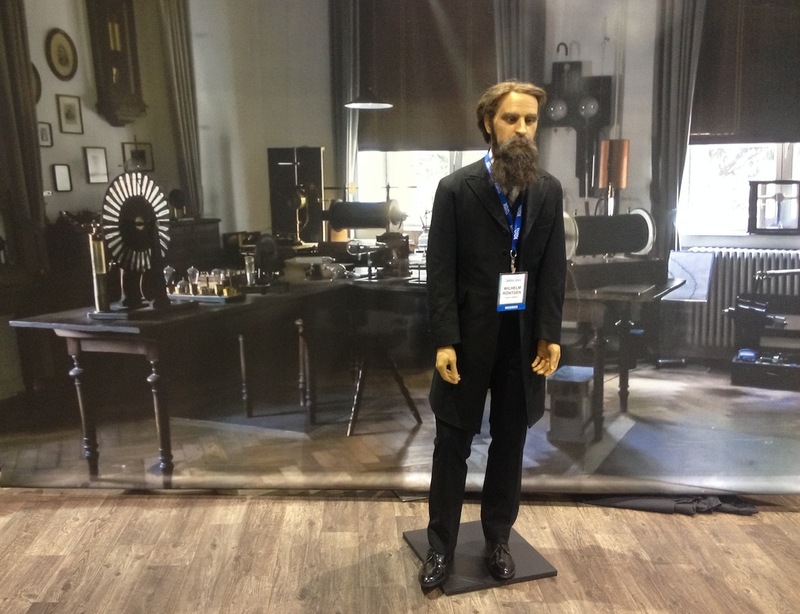 In fact he appeared in two places at the meeting: in the technical exhibition area, where he was available to have his photograph taken with delegates (seen at right in his laboratory); and in the Centennial Showcase, where he was the narrator for the history of RSNA. On display were examples of vintage radiology equipment, including the original CT machine that acquired the first images of a patient in the USA in June 1973. Designed by Godfrey Hounsfield of EMI and built in London, it revolutionized forever the way we would see inside the body. At RSNA2014 there were many opportunities to learn about new imaging technologies, both at the technical exhibits and during the scientific presentations. For the detection of breast cancer there were three papers that caught my attention. Carey Rappaport, an electrical engineer at Northeastern University in Boston, in collaboration with radiologists at Harvard, described how digital breast tomosynthesis (DBT) and microwave images could be fused. Taking advantage of the large difference in dielectric constant between cancerous tumours and healthy fibro-glandular tissues, the authors believe their dual-modality approach has great potential. Time will tell. Per Skaane, in a project supported by industry leader Hologic, conducted a prospective screening trial of 25,547 women in Norway, comparing full-field digital mammography (FFDM) and FFDM plus DBT. He reported a 40% increase in cancer detection for women with dense breast tissue when DBT was added. Woutjan Branderhorst of the Netherlands, using an instrumented paddle, showed that breast compression could be standardized to 10 kPa of pressure without compromising radiation dose or image quality, while significantly reducing pain and discomfort, which is good news for women. Indeed, Mrs Röntgen would no doubt have approved!